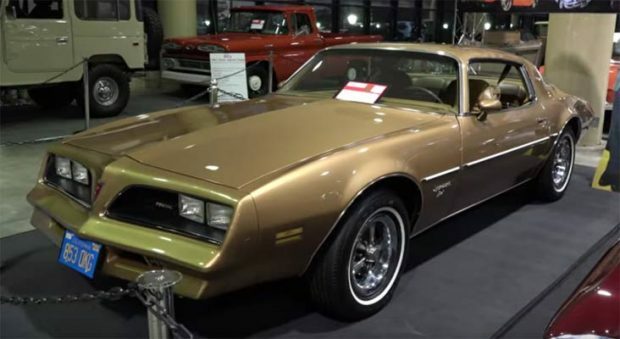 This 978 Pontiac Firebird Esprit was shot at the 2017 World Of Wheels Birmingham, which is an exact replica of the vehicle used by Private Detective Jimmy Rockford from the NBC hit series The Rockford Files. Many of our favourite vehicles were born out of watching TV or movies and this one is no different. The builders made the vehicle as per the one used in series 5 and 6 of the show. The car had a complete frame off restoration, with a new camel tan interior. The car currently has a Chevy 350 engine. On the actual show the cars had a Pontiac 400 engine, which will eventually be put in the car. Check out the full video as this is not just a great replica of a show car, but a close-up view of an absolutely fine restoration of a Pontiac. ← Previous Story Fans Celebrate Mustang Birthday By Sending Car Into Space!